A SMART goal is a goal that is specific, measurable, attainable, relevant and time based. In other words, a goal that is very clear and easily understood. The goal must clearly state what is to be achieved, by whom, where and when it is to be achieved. Sometimes it may even state why that goal is important. 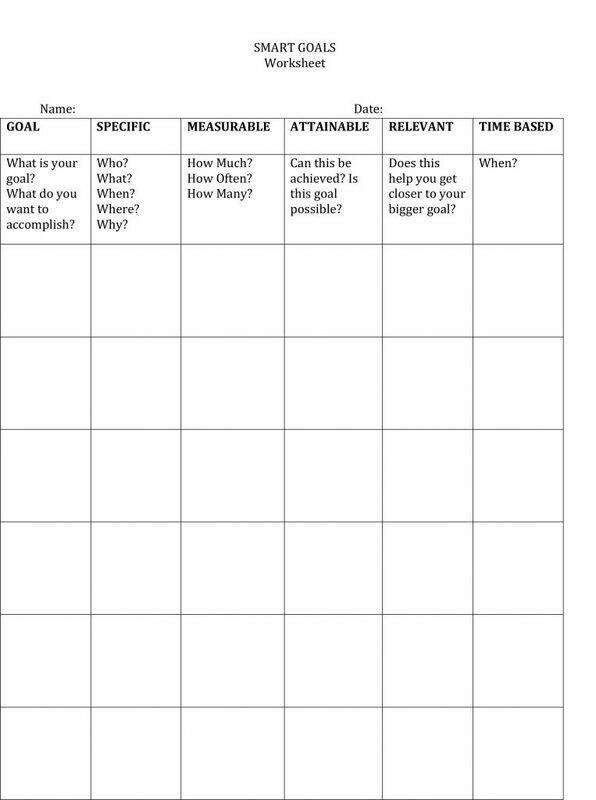 Not all of these questions will apply to every goal, but it is important to ask all the questions in order to assess how specific your goal is and make it as clear as possible. Measurability applies to both the end result and the milestones along the way to attaining a goal. It answers the question of quantity – how much, how often, how many? The milestones are signs along the way that will tell you that you are on the right track to achieving your goal. For instance, your ultimate goal may be to make 60,000 dollars in a year, but the milestones may be to make 5,000 dollars every month, which will add up to 60,000 in a year. So by focusing on making the 5,000 dollars every month you will ultimately reach your goal of 60,000 dollars. This makes the goal more attainable because it is easier to think of ways to make 5,000 dollars every month than 60,000 all at once. It has been said that what cannot be measured cannot be managed. This is often true when it comes to goals. Sometimes it is difficult to measure a goal, but at such times there is usually an indirect measure that can be applied. You should ensure that the goals you set are achievable. Firstly, you must believe that you can manage to do what you are setting out to do. If you set goals that are not believable even to yourself it is very unlikely that you will achieve them. This is equally important when setting goals for a group, such as in the corporate or family setting. If the people for whom the goals are being set do not believe they are attainable, it is unlikely they will work wholeheartedly towards achieving them. Agreement and participation in the SMART goal setting process is important in such cases to ensure that most people are happy with how realistic the goals are. Secondly, the goals must be possible, all things being equal. There is no point setting a goal to float in the air and defy gravity using only your mind, for instance. No matter how hard you try this won’t be achievable. Be careful however, that you do not limit yourself based on what other people believe to be achievable or not. Set your own standards by understanding your own abilities, strengths and weaknesses. Your goals must be relevant to what you want to achieve in the short term and the long term. Understanding your organizational or personal vision, mission and purpose is critical in this respect. Sometimes you can be tempted to do something simply because it is easy and sounds great, only to discover later on that is has no long term importance to what you want to achieve as an individual or an organization. Do those things that are most important and in line with your long term vision and mission. This sometimes overlaps with the goal being Specific, but it aims to ensure that you put a time-frame to your goals. Someone said a goal is a dream with a time-frame to it. Simply deciding by when you want to achieve something can be a good motivator. It can prevent you from procrastinating because you know that you are working to a deadline. “Failing to plan is planning to fail” If you find yourself unable to set a SMART goal it is more than likely that your future plans are not clear enough and need to be worked on. Furthermore do not get tempted to skip the process of SMART goal setting and “get on with it” without fully analyzing your goals. Doing this careful planning at the beginning will save you lots of time and disappointment at a later stage and you will avoid making costly mistakes. Print and complete the worksheet that follows, including as much detail as possible under each heading in the columns. Clarify your goals to yourself as much as is possible. When you are done with the table you will be able to write SMART goals based on this. In order to print the following images, you must right-click and save the image and then you will be able to print.